A statement piece for any room, the Sputnik Pendant Lamp harkens back to the mid-Century, bringing to mind classic designers like Eames and Saarinen. Measuring in at more than two feet in diameter, Sputnik features 24 bulbs bursting from its center. 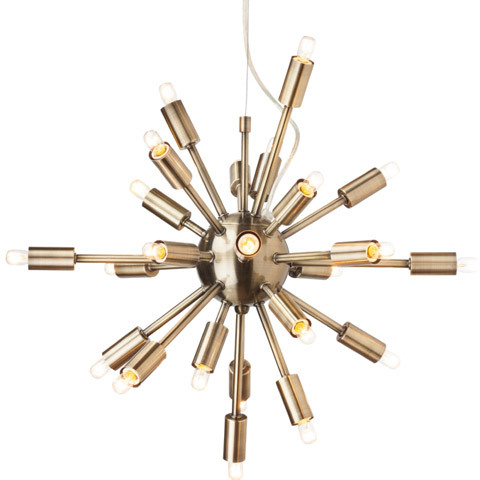 Available in your choice of steel finishes, each Sputnik Pendant includes a matched canopy, wire suspenion and clear power cable height adjustable from 30" up to 98". Call the electrician, and send out the party invites because your dining room is about to get an upgrade!